On September 6th 2017, a category 5 storm, hurricane Irma, made land fall on the island of Barbuda. 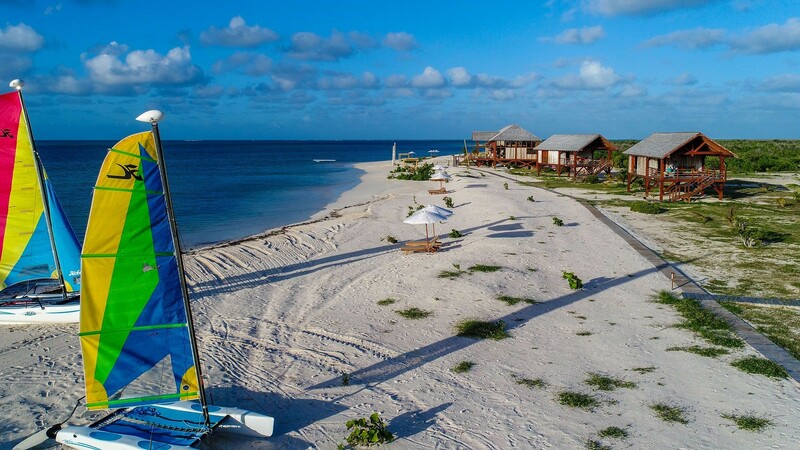 3 years after its opening, the Barbuda Belle Luxury Beach Hotel was forced to close its doors to rebuild and renovate. After a year of hard work, we are proud to present the NEW Barbuda Belle! There have been two additions: a new Bungalow, we now have a total of 8 rooms, and a new restaurant, the Jelly Tree Bar and Grill. There will be another addition in 2019, a beauty SPA! 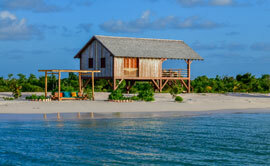 Barbuda Belle is a Boutique Hotel located on the most beautiful beach in the Caribbean. Its beauty and remoteness will transform your stay into a peaceful getaway. Each of the seven beachfront bungalows has its own private large balcony, with stunning views on the nearby mangroves of the Codrington Lagoon Park. The wooden furniture decorating the bungalows gives them a rustic yet plush look. Our solar system guaranties peacefulness allowing you to embrace nature without altering comfort.